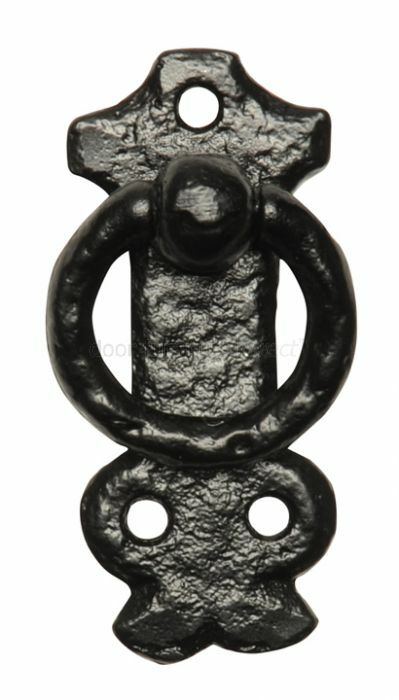 Black antique cabinet or drawer handle on a long back plate with a hinged ring pull. Back plate measures approximately 80x35mm. Supplied complete with fixing screws.